Nicole Masters is back by popular demand for a weekend SOIL BIOLOGY retreat. CLASS SIZE LIMITED. PRE_REG REQUIRED. Get your geek on! This is a deep dive into soil biology and the role it plays on YOUR land. 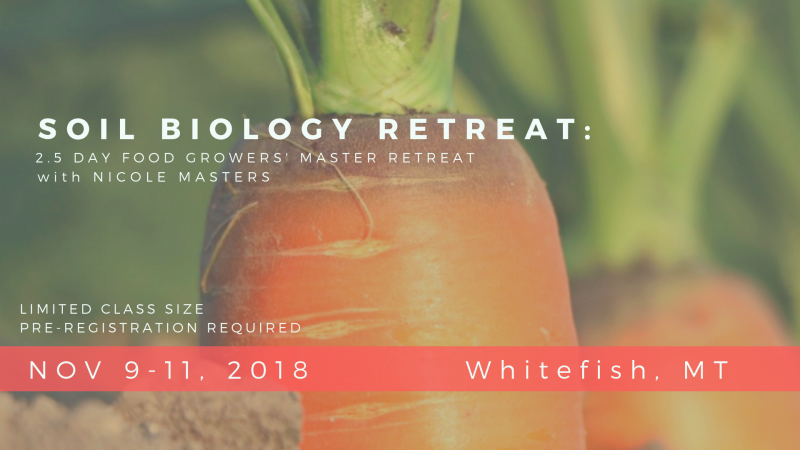 The topics covered will be focused on the science and biology behind our valley's growing conditions (cold soils, cool nights, high water table, clay-ey soils, variable soil pH, hoop house/high tunnel soils) and how to influence these conditions, particularly for nutrient dense vegetable production.